I've been reading the forum for a while, but only now writing myself. 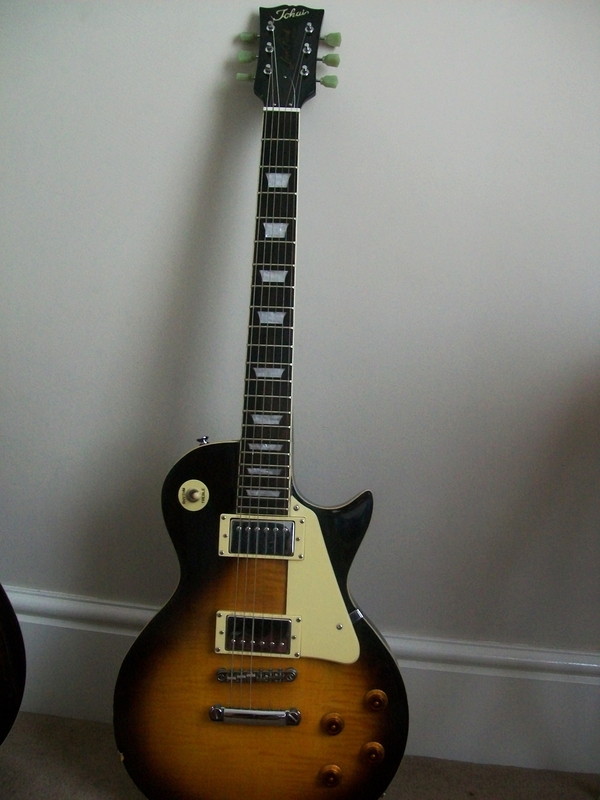 I have the beauty below, which was my first good guitar after having started on a Squier. Lately, I've been trying to find out more about her. I bought it from a guy in 2009 ish. He had replaced some of the hardware (the bridge and the tuners - Grovers). 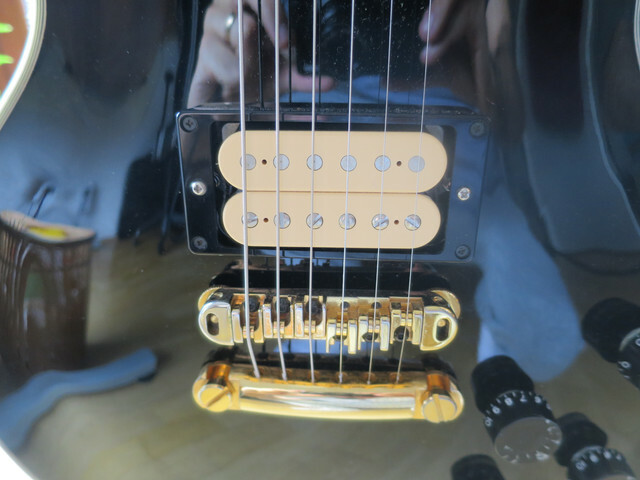 Some four years ago, I replaced the pickups with DiMarzio PAF 36th Anniversary, and I get a really nice tone out of it. By the serial number, I think she's from early 2006 (serial number 061xxxx). And according to the registry (she's there), she should be an LC85S, which matches what the previous owner had told me. But how do I know for sure? Any ideas? I've already checked the pickup cavities, but they were mostly painted for shielding. Only thing I could confirm is that it does seem to have a maple top (judging from my poor knowledge of wood shades ). What do you guys reckon her value would be? I'm always going back and forth about thinking to let her go as I don't play all that often and have too many guitars. Feel a bit bad having her in her case under a desk most of the time... on the other side, I'm attached to her, if that makes any sense. EDIT: Oops, the pictures don't show. Any tips? Then add the image code exactly like you did in pics that did not work. Looks legit, can't see anything that contradicts what you already know, although the pictures aren't great. Closeups of the headstock back and front, fretboard, control cavities and what you saw under the pickups would help confirm. 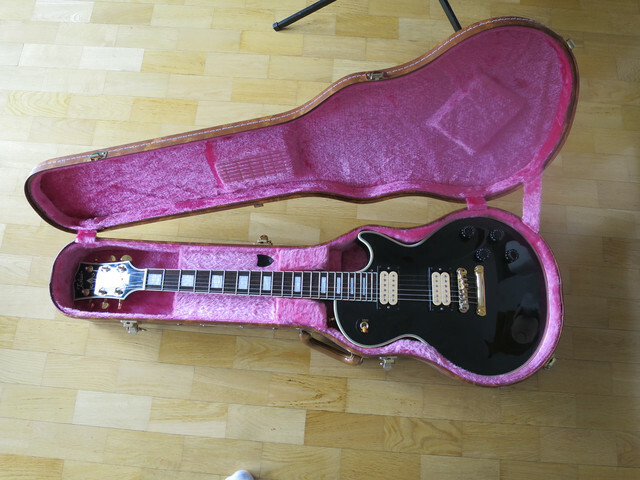 From what I can see it has the open book headstock which is a definite plus, and is that a genuine Tokai case? They're pretty uncommon. The mods would reduce value, buyers prefer all original and the look/vibe of the guitar has been significantly changed. Do you have the old parts in a box somewhere? Yeah, that's the original case it came with. I have the original pickups and bridge (the tailpiece is the original). Sadly I didn't get the tuners with it already and I should have the pickguard somewhere, but I can't seem to find it. Like I pointed out I'm not even sure I'd want to sell it. Just seems like the neck is not the most comfortable for my hands, which is the reason I end up playing on other guitars instead.